Bristol Mayoral Election – What about housing? Well, we’re almost there, the election is next week. It’s time to decide who will be the next directly elected Mayor of Bristol. With all 70 seats on the Council also up for election it looks set to be an interesting week. Hopefully this time the turnout will be higher and local people will be more engaged in having a say over who governs their city. Over the last few months I’ve been looking closely at how housing policy has been discussed and debated publicly during the election process. At the beginning of this process it wasn’t clear quite what the political priorities would be and whether or not housing would feature as a key issue. But as time has progressed housing issues have certainly become a big part of the debate. Perhaps not surprising given the very real pressures people are feeling in relation to housing in Bristol. These figures make disturbing reading and really only provide a snapshot of the problem, but are nevertheless useful as background to the debate. I should point out here that the information for this blogpost is drawn solely from publicly available material produced in manifestos, action plans, websites, Facebook pages, hustings meetings and media interviews with the main candidates. So with all this in mind, what are the mayoral candidates saying about housing? Well, I’ll break it down into 4 main policy areas and take these in turn: overall housing delivery, affordable/social housing, private rented sector, and homelessness, . Firstly, on overall housing delivery, several of the candidates are making promises to build 8,000 new homes over the next 4 years, that’s 2,000 houses per year of which up to 2,800 will be affordable. This is broadly the commitment made by George Ferguson, Tony Dyer and Marvin Rees, with variations around the numbers of affordable homes (I’ll come back to that later). It is less clear what the Liberal Democrat and Conservative proposals are other than Charles Lucas identifying a priority to build more homes and Kay Barnard highlighting the need to ensure all brownfield sites are developed for new homes. So increasing the number of homes built is a priority for all of the main candidates, but what is missing from much of the discussion is just how they will achieve that. Detailed proposals on the policy changes needed are at this stage largely missing from the public documents. When challenged at some of the hustings meetings candidates have provided more information. In particular, there appears to be some agreement over the need to set up some form of arms length, council owned company to deliver affordable housing projects. Just what this means and how it would work is less clear, but examples are available from other cities where similar proposals have been made using different models, such as the Birmingham Municipal Housing Trust. The point here is about changing the role local councils play in increasing the supply of housing, through partnership and enabling roles rather than as sole deliverers. This was an important recommendation in the Elphicke-House Report produced last year which identified the need for local authorities to take responsibility for making development happen in their area. The delivery of social and affordable housing also appears to be a priority for all the main candidates, some more explicitly than others. 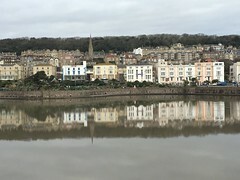 Here the focus is on affordable housing, often with no clear definition of what is meant by affordable, but with some making the distinction between the government’s definition of affordable and what is actually affordable to people in Bristol. There’s a real debate to be had here about what local authorities can actually do to increase the amount of affordable housing delivered in their area. With government policy squarely aimed at encouraging home ownership, the public and social rented sectors have taken a bit of a battering. Add to that the proposed extension of Right to Buy to housing association homes, the relaxation of planning S.106 agreements on affordable housing and the curbs on the ability of councils to borrow money to build new social homes and you begin to see that any commitments here are made with one hand tied behind your back. Just what can local authorities do to make a difference? Some of the suggestions include looking at alternative forms of housing, like self-build and cooperative housing, modular build and pre-fabricated housing, as a means of delivering more affordable housing. There are definitely options for more work in this area. Bristol, once upon a time, led the way in self-build, but has sadly fallen behind many others places now as support from the council has reduced and development has become more competitive. I wrote a piece for the Bristol Cable on alternative housing as an option, you can read it here. The private rented sector as a provider of housing in Bristol has become ever more important over recent years, now providing 24% of homes in the city. This in itself brings with it a number of concerns and issues, such as security of tenure, affordability and quality of provision. All these are concerns in Bristol, as they are in many other cities and towns, where the need to find cheap, affordable housing drives individuals and families into renting unfit accommodation, living in overcrowded conditions, and living in fear of eviction. There is little control over the Private Rented Sector (PRS) and little the council can do to regulate price and quality, and what control they do have is often not fully implemented. 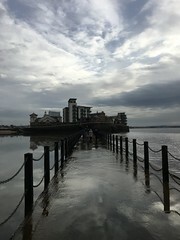 As a result of concerns about PRS provision in certain areas of the city, a trial scheme was implemented in Easton and Lawrence Hill, where discretionary licensing was introduced for landlords. This scheme is being rolled out slowly into other areas of the city, enabling council inspections to ensure minimum standards are being met. In response to issues highlighted by tenants, Acorn have established an Bristol Ethical Lettings Charter, which Bristol City Council have now supported, but this is still only voluntary. This Charter is a declaration of decency and a statement of intent, to help create a fair, professional and ethical private rental sector, it asks landlords and agents to commit to certain standards of security, cost and quality. George, Tony and Marvin all feature policies on improving the PRS, which include rolling out the Ethical Lettings Charter and introducing a landlord enforcement scheme. These priorities would certainly go some way to addressing the concerns of many tenants in the PRS. Giving voice to those tenants is also important, which is where Marks Out of Tenancy could help with their proposal for a website where you can rate your landlord or letting agent, a sort of TripAdvisor for the PRS. The final issue for debate is homelessness, an increasing concern in Bristol, with more rough sleepers and declarations of homelessness than other cities outside of London. The response from candidates to the issue has been mixed, some don’t mention it, others identify it as an issue, but have few solutions. The ideas that have been mentioned include bringing empty homes back into use, increasing overall housing provision, providing more emergency shelters and providing more support for those who are homeless. Of course there are no easy solutions, people are homeless and sleeping rough for many different reasons and will need varying levels of support at different times to help them address their problems and issues. For those with complex needs there’s an interesting approach being used in the US and Canada which sees housing as a basic human right and seeks to provide immediate access to permanent housing for homeless people. Starting from that premise removes the need for those who are homeless/sleeping rough to go through support programmes and overcome addiction problems before they access decent housing, it starts with housing first, and has seen some significant success. There are different ways of addressing problems and there are some creative and successful approaches out there if only we would look beyond the norm. Overall it is clear that housing features as a key priority for many of the mayoral candidates, but to date the level of debate has been disappointing, with few new or different solutions discussed. To some degree this is perhaps to be expected, with local government working within a difficult environment of cuts and central control. It’s also fair to say that most hustings meetings and debates have little time to get into the detail as they try to address a range of big topics with up to 13 candidates! I’m hoping the housing hustings taking place on Friday April 29th will provide a little more of that detailed discussion, where the ideas and solutions can be developed further. When we talk about solving the housing crisis we tend to talk about supply and demand, about affordability and about providing homes for people. We seldom talk about people being in control of providing their own home. The whole housing system has morphed into one of dependency, be it dependence on private landlords, house builders or the State, someone will provide it for us. When housing professionals get together they talk about mainstream housing issues, about rent prices, about how difficult it is to build council housing or social housing for rent, about problems of land supply and land-banking by private developers. Rarely do they talk about self-build, custom build or housing co-operatives. It seems, on the surface at least, that we’ve lost some of the creativity and innovation in our debates about housing. When you dig beneath that surface though you will find all kinds of interesting projects, that take us back to a less dependent realm of provision, where self-help and mutual aid were the guiding principles for action. This type of approach can still be seen in self-build and custom build projects, co-operative housing schemes and community led housing developments. These are schemes that are shaped and controlled by residents, where people have taken back control. What a great idea. Perhaps it’s time to have that very debate again in Bristol and to encourage participation from neighbourhoods across our city with a discussion that includes some alternative solutions to housing provision instead of focusing on a system that clearly doesn’t work. Maybe it could be a debate that involves those seeking a decent home but who can’t afford what is on offer and who have given up on a social housing system that has been reduced to such a residual service. Maybe it’s also time to listen to those who have solutions but are marginalised, as their solutions don’t support the traditional mainstream approach to housing? There are many small-scale examples to draw from that could be included in this debate but seldom are. Why don’t we talk about co-operative housing more frequently when we have such a great example here in Bristol that is currently on site and well on its way to developing a sustainable model for converting empty office buildings into homes. Proof if ever you needed it that, even now, ordinary people can refurbish old buildings, create social housing communities and produce a modest return for investors (AEOB Group). Why don’t we talk more about ‘kit housing’ or custom build, which is factory made, using more sustainable materials, cheaper and quicker to erect on site than traditional bricks and mortar housing? There are many companies out there providing this form of housing, from the original and more expensive Huf Haus, to relative newcomers to the arena like Apple Green Homes and the local SNUG homes developed by Ecomotive. Whilst self-build might not be an option for many, custom build and co-operative housing may just be relevant to a wider audience. Together these models of provision could provide greater opportunities to those that have been failed by our current approach to housing. ”… if people are given the reins, get the right help and are committed, they can come up with a really excellent viable housing scheme that people want to live in”. The text of this blogpost was first written for The Bristol Cable and appeared there in April 2016. “AEOB has a mission ­ to challenge the pattern of office and commercial buildings standing empty while there is a need for housing, and to promote their use as an efficient alternative to building new homes. These new housing projects will provide secure, affordable housing to people who struggle to find adequate housing through the private and commercial property rental market. This is a chance to build a new social housing model in a country that houses its own people.” from the AEOB website. The group formed in 2012 and issued their community share offer in 2013 to raise money so they could buy their first property. The aim was to find an empty office or commercial building that was no longer used or needed for its original purpose. Once the share offer reached around £230k the search began in earnest and a prospective residents group was formed, with the criteria to join being ‘anyone in housing need’. The point being to include a range of people which would enable the creation of a diverse and supportive community living as a cooperative. In September 2014 the group began the process of securing their first property, a recently vacated commercial building in Batten’s Lane, St George in Bristol. It took a while, but almost a year later work has started on site and is now well underway. It involves conversion of the existing building and the addition of a 2-storey extension to create 6 flats, a common room and laundry area with communal gardens. A key part of the development process is the re-use and recycling of materials, and ensuring sustainable construction is very much central to the process. The aim is to have high energy efficient appliances and build, cutting energy use and saving tenants money, as well as re-using existing materials on site. It seems there is an appetite for this type of co-housing in Bristol. It’s undoubtedly a fascinating concept and one that has the potential to be scaled up, to create opportunities for more people to engage and benefit. It’s a model that operates on a not-for-profit basis, where rental income will be used to pay off loans and support the next project. It’s a model that engages and involves potential residents as well as the local community. It’s also a model that seeks to provide truly affordable housing, to meet an ever increasing need. It’s not a new concept, in fact co-housing is more frequently seen in other areas of Western Europe than it is in the UK. I visited a scheme a few years ago in Vauban, Freiburg, where more than 50 co-housing schemes have been implemented across the development. The scheme I visited was a block of flats, with tenants sharing basement space, laundry space, common room and some shared cooking spaces as well as gardens. I talked to the people living there and was shown round some of the building. It worked well as a community and was affordable to those living there. It brought people together who wanted to live in a supportive community, sharing child-minding, spending time with older residents, and working together on new projects and initiatives. That’s exactly the concept I got from talking to Elinor at AEOB, that idea of a supportive community, separate but also together. Something that perhaps we are less good at in England, but which is clearly attractive to some. At the moment we’re talking about one site in Bristol that is in the early stages of development. But it is at least a start and a pretty good one at that. The critical point from here will be to see how sustainable the model is, how it can be rolled out and if further properties can be identified and secured by the group. 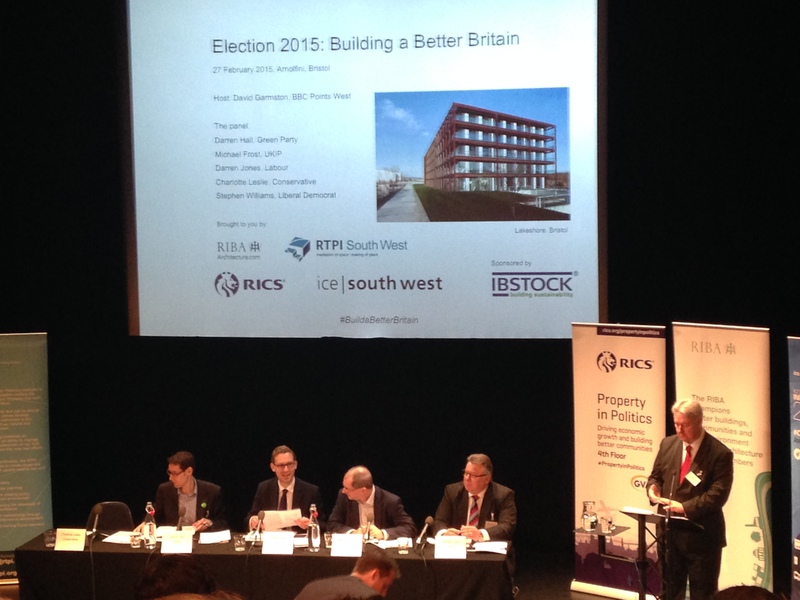 This morning I went along to my first General Election 2015 debate. It was organised by a group of professional bodies representing planners, architects and surveyors, and focused on the built environment’ that is housing, planning and infrastructure. It had a good line up of candidates, from the 5 main parties, and was chaired by David Garmston from BBC Points West. Whilst I didn’t expect to hear lots of new ideas and policies, I was hoping for some key pointers on how we can improve our infrastructure, build more houses and make planning a more positive and engaged process that delivers quality places. To be fair, there were some interesting points, but mostly it was just the same old stuff, the same ideas and policies that are clearly not working very well at the moment and haven’t for some time. I was left feeling slightly less than inspired and struggling to really define the difference between the main parties (I’ll exclude the Greens and UKIP from that comment, as they did stand out as different, but not necessarily in a good way). Very little of this would come as a surprise to anyone involved in discussions about housing policy and development. So will anything really change after the election? Whoever is elected, there seems to be little by way of new policy ideas to help solve the housing crisis, just a restatement and reprioritising of existing policy. Where are the radical new policies that might actually make a difference? What about stopping the right to buy on all new council housing and allowing councils to borrow more so they can fund new social housing, that’s then available for all those that need it, without the fear of losing it in a few years to private landlords? What about prioritising public land and buildings for new housing developments, so the control of phasing, quality, design and planning rests with the public sector and communities rather than developers and house builders? What about changing the way we build houses, modernising our building methods to build more off site, using different skills and processes? Is it really that hard to extend our thinking beyond the very narrow confines of recent and current policy? Surely if it’s not working, it’s time for a rethink? There was also a debate about the skills shortage and how this impacts upon the housing crisis and our ability to build new homes. The most entertaining element of the debate was definitely listening to the UKIP candidate tie himself in knots about the positives of immigration when we need people compared to the negatives they spin out most the time! Other than that there were some serious points about how the focus on encouraging people into a university education has actually been damaging to our skills base. The point being that we are losing the ‘vocational’ skills because these are somehow seen as inferior, when we should be promoting a parity of esteem for all vocational and university courses and skills. The discussion about governance and devolution was quite encouraging and significantly different to what you would hear if you had five local councillors on the panel rather than five parliamentary candidates. Indeed, if there were any local councillors in the room I imagine they would have been somewhat annoyed and maybe a little embarrassed by the debate. The main point seemed to be that the history of the apparent inability of the four councils that make up the West of England to actually work together in any real and meaningful way has tarnished our ability to make the most of the opportunities available to us. Despite the best endeavours of the Local Enterprise Partnership, the Mayor and other council leaders, there is still clearly a very strong perception in Government that the Bristol city region has not yet got its act together. This means the potential benefits of more power, accountability, responsibility and resource are less likely to come our way and more likely to go to places like Manchester, Leeds, Birmingham and others who seem to be able to put political differences to one side for the benefit of their city regions. We can’t even agree that we need a formal integrated transport authority for the Bristol city region, which to most people would seem obvious, but not to our local political leaders. Let alone agree that any other form of formal structures and agreements to cover strategic planning, housing and growth are needed or would provide any benefit to the area. There seemed to be general agreement from the panel that this leaves the city region in a position where it could well be left behind by other city regions, as they forge ahead with formal partnerships and arrangements. That’s not to say that we should just fall in line with central government dictat, but that we should be able to overcome local political differences, to do what is best for the city region – at the moment that doesn’t appear to be happening. It was an interesting debate around some really important issues, but I can’t help but feel the confines of the debate are too narrow and we’re missing out on some of the solutions and ideas that might come from wider debate and more innovative, creative thinking.